Online, self-paced courses to guide you toward your writing goals. Study fundamentals such as grammar and punctuation or more advanced topics like characterization and using theme. Preconfigured courses are ready for you to start and designed so you work at your own pace. Courses consist of specially selected study materials and writing exercises you submit for instructor feedback (yes, feedback!). If you’re seeking help in a particular area, custom programs can be derived from our extensive knowledge-base to tutor you in specific skills or methods. Feeling rusty or needing study and practice in a specific area? Find it here! Fiction is about people. How they act, react, fail, triumph, and recover. This course focuses on character types and methods to develop them. Don’t wait! Get started with this great class today. After easy, secure purchase via PayPal (you don’t need an account) you’ll receive an email from Fiction Clinic with instructions for downloading a file with your class access information. Still in development. Available soon! Knowing and using good grammar is, like proper punctuation, a banner across your writing that says “I care.” It makes a good first impression to clients, readers, editors, and your mom. This course reviews what you probably slept through in school. Everybody has one about nearly everything, but this isn’t that kind. This is about characters’ point of view in fiction (and creative nonfiction) and how using it well helps bring the story to the reader. So, you have a box full of periods, commas, semi-colons, apostrophes and quotation marks. What now? Put them on the page! This course explains where, when, and why. For this course, you should be familiar with basic aspects of grammar part of which involves the understanding and proper use of verb tenses. In this course we’re going to look more thoroughly at selecting verb tense when it comes to fiction composition. Specifically, how choosing a tense for composing fiction influences reader perception of scenes and characters. In creative writing, theme is the underlying and subtle message, lesson, or idea an author is trying to illustrate with a story, novel, or even a poem. Most stories and novels have one even if you’re not aware of it. This course explores this concept. Advanced Study classes offer information and resources beyond the basic skills every writer needs for any type of writing. Understanding and utilizing these more sophisticated methods and skills can enhance any fiction or creative nonfiction project you’re itching to do. For all classes: After purchase you will receive an email from Fiction Clinic. If you don’t receive your email within 30 minutes, check your SPAM folder. To avoid this, simply add contact@word-edge.com to your contacts list. Thanks! All classes on FictionClinic.com have been created by your instructor, Dawn Johnson. 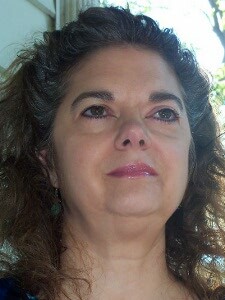 Dawn is a professional editor who also provides fiction critiques, author mentoring, and other services via Word Edge. Her expertise in writing and editing is supplemented by experience teaching online courses in writing for an international writers’ critique site. She is dedicated to helping her students and clients achieve their writing goals through an informative and nurturing environment with personalized feedback and thoughtful mentoring. She earned a bachelor’s degree in English from the University of Wisconsin and is a member of the Editorial Freelancers Association. The following items are invaluable reference materials for writers. Reading assignments may include material from one or more of these resources.